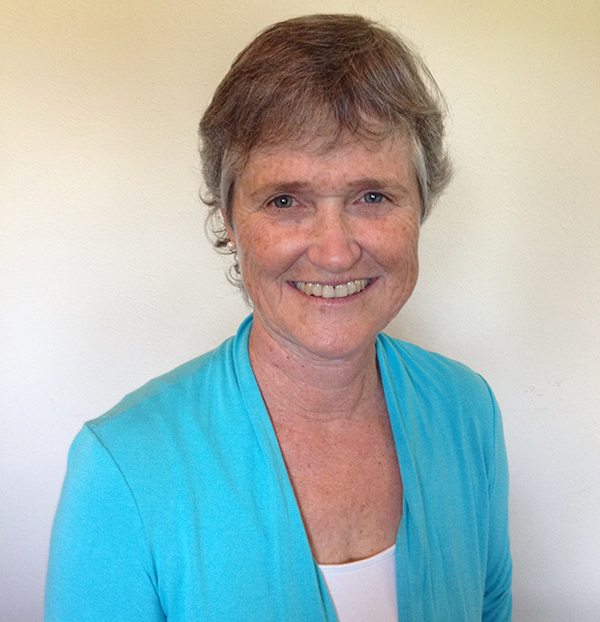 Susan Secord co-founded the Boulder chapter of Citizens' Climate Lobby in 2013, and for the past two years she has served as the Colorado CCL State Co-coordinator. Before retiring to devote herself to climate change solutions, Susan worked for many years in private industry and then became a public school educator. Susan is a passionate life-long skier who loves our Colorado mountains. Q: Can you start off by telling us some more about the Citizens' Climate Lobby and your role with the organization? A: Citizens’ Climate Lobby (CCL) is a national nonpartisan organization committed to creating the political will for climate solutions by enabling individuals to exercise their personal and political power. Founded in 2007, CCL is expanding rapidly and currently has about 50,000 members and 362 chapters in the U.S. and around the world. Our focus is on passing national legislation to put a gradually increasing price on greenhouse gas emissions and return the revenues to American households, which will grow our economy while significantly reducing our greenhouse gas pollution. This solution has appeal across the political spectrum. Our members cultivate and demonstrate local support and build relationships with Members of Congress to move them toward taking action to preserve a healthy climate and a livable world. As Colorado CCL state co-coordinator, I support new and existing Colorado chapters and coordinate our efforts statewide. Q: So is CCL all volunteer based? And if someone wanted to become involved with CCL what should they do? A: While CCL does have a small national staff of about twenty, we are primarily a volunteer-based organization with volunteers working in local chapters. Our volunteers come from all walks of life. Some have studied climate science professionally, but most are people from unrelated backgrounds: teachers, nurses, farmers, business leaders, ski instructors, house painters, engineers, former military, concerned grand parents, students, etc. We share a common commitment to making our voices heard for a healthy climate future. Endorsements of our policy by local leaders are very helpful to build support for climate action in Congress. If interested they can sign an endorsement on our website. Q: CSCUSA recently signed on to a CCL initiative asking Congress to acknowledge the threat posed by climate change and to reduce greenhouse gas emissions. Many people feel that climate change may not be a top priority in the Trump administration and new Congress. Do you think there is hope for action on climate change? A: First, thank you for endorsing Congressional climate action. Congress is more likely to take steps to solve our climate crisis when they know that they have support from community leaders and CSCUSA’s voice is important to our efforts. Second, as we move into the new administration and Congress, there’s no denying that our task has become more difficult, but we are nonpartisan and our pathway to passing legislation has always relied on both Republican and Democratic Congressional support of our policy. That hasn’t changed. There are signs of hope. This past year the bipartisan Climate Solutions Caucus was created. Co-founded by two Florida Congressmen: Republican Carlos Curbelo and Democrat Ted Deutch, the caucus is exploring policy options that address the impacts, causes, and challenges of our changing climate. The caucus was featured in a Years of Living Dangerously episode on the National Geographic channel. Another reason for optimism is a recent national survey from the Yale Program on Climate Communication, which showed public opinion is strongly in favor of serious climate action. Key findings from the Yale report can be downloaded here. Q: You mentioned CCL’s support for carbon fee and dividend. Can you tell us more about how Carbon Fee and Dividend would work across the country? A fee is placed on fossil fuels at the source (well, mine, port of entry, etc.). This fee starts at $15 per ton of CO2 equivalent emissions, and increases steadily each year by $10. All of the money collected is returned to American households on an equal basis. Under this plan about 2/3 of all households would break even or receive more in their dividend checks than they would pay in higher prices due to the fee, thereby protecting the poor and middle class. A border tariff adjustment is placed on goods imported from, or exported to, countries without an equivalent price on carbon. This adjustment provides a level playing field for American businesses and would discourage businesses from relocating to where they can emit more CO2 and encourage other nations to adopt an equivalent price on carbon. A predictably increasing carbon price will send a clear market signal that will unleash entrepreneurs and investors in the new clean-energy economy. This policy is good for the economy as well as the climate. According to a study conducted by Regional Economic Models, Inc., carbon fee and dividend will add 2.8 million jobs to the U.S. economy and a cumulative increase in national GDP of $1.375 trillion over a 20-year period while reducing CO2 emissions 52% below 1990 levels. The policy will also prevent over 230,000 premature deaths over 20 years from improved air quality. You can a more detailed description of our policy and the REMI Report on our website. Q: How does CCL’s approach to climate change protect families and small businesses concerned about rising energy prices? A: That’s a good question and one that we often get from Members of Congress who are concerned about how Carbon Fee and Dividend legislation will impact their constituents, particularly those with lower incomes. As fossil fuel prices rise, those prices will certainly be passed along to consumers which will motivate investors, entrepreneurs and consumers to move towards fossil-free energy sources. Returning revenues as dividends to American households on an equitable basis will help ensure that families and individuals can afford the energy they need during the transition to a greenhouse gas-free economy and also stimulate the economy. About two-thirds of American households will receive dividends equal to or more than their increased energy costs, with those in the lower and middle income benefiting the most. Thanks for joining us Susan!